The Only Professional Manufacturer Supplier of Multi Functional Electronic Patches..Quality Guarantee. We ship to worldwide. 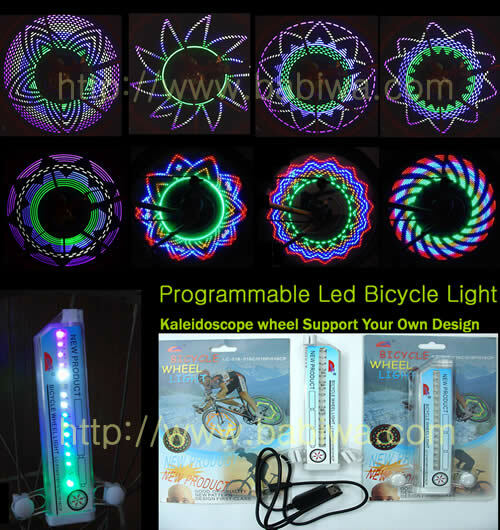 Genuine Bicycle Spoke Light Hot Cool Kaleidoscope wheel Support Your Own DIY Design(LC16 Series Do It Yourself Version) . 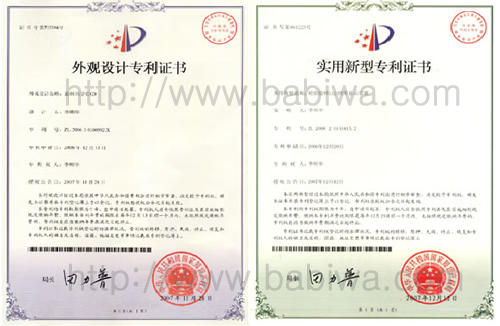 Authorized Product from Genuine Patent-Owner and Manufacturer. 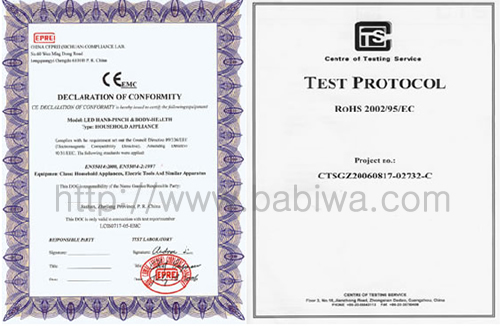 CE ROHS Approved . 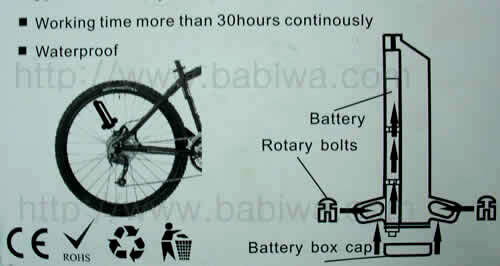 Specially Designed for the Professional or Casual Cyclist. When you ride in the dark, the whole way People can see pattern or words on Both sides of your wheel (Pattern or words could be by your own design). 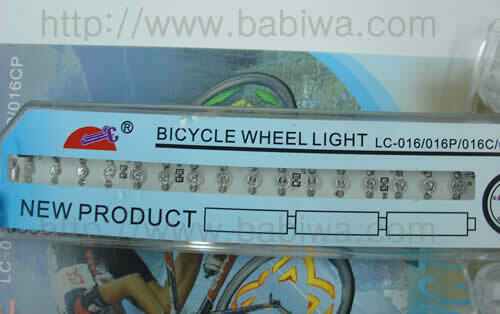 It Attaches to the Bicycle Spoke ,16 Led lights(red,blue,yellow,white) display a 360 degree and Double-Side show ! Not only bring you Hot and Cool Visibility ,but aslo Enhance Biking Safety through Eyes-catching Bright Vision during Night or bad weather conditions. 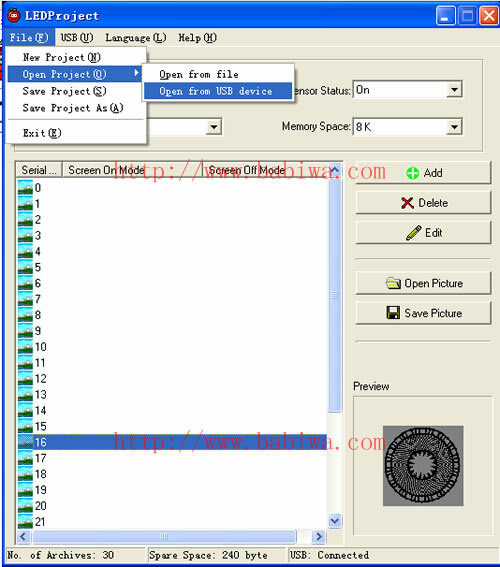 By Default it Displays 30 Pretty Patterns,It's Also DIY Programmable,you could use the Connection line and software(Multi language support)to set up Your Own Design or Loved Words through computer. 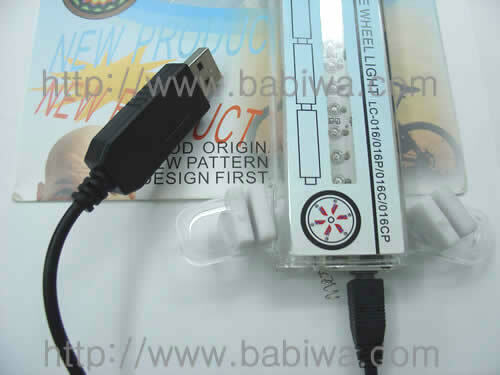 Energy Efficient and Long lasting Led Lights. Light and Movement Sensor to save power. 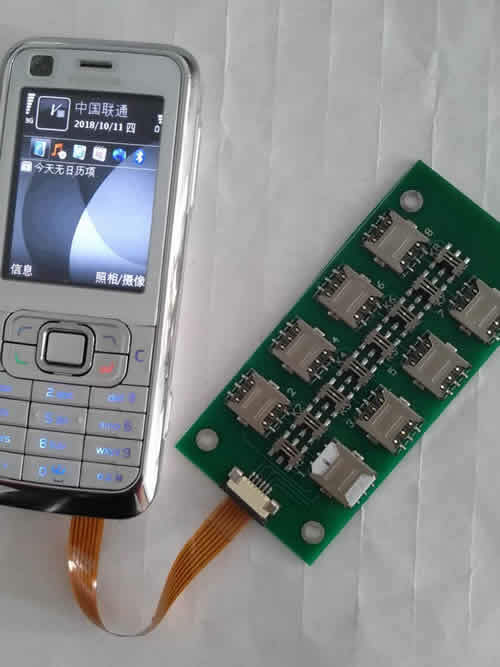 This is the LC16 Series DIY Version ,We also provide the LC16 Non-DIY Version,please refer to our other listing. All new customers are sincerely welcomed ! But Before your purchase,it's very important to read the notice below.thanks !! The pics show the effect at high speed .When you ride at slow speed,it doesn't show the cool effect. 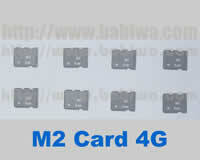 The Battery not include because of the current Airmail Limit,You could use any 3 AAA (rechargable or Common) to operate. Colours may not Appear Exactly Same as seen here because of the visual tolerance(Difference between digital photo and your naked eye view). 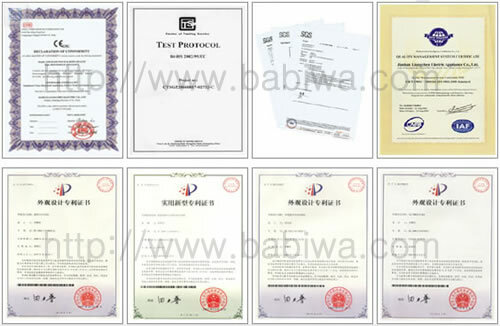 All sample we ship to you is brand new from warehouse.Before dispatching,we would open it to test on bike and PC. Total 16 pieces of LED LIGHTS Embedded(Red,Yellow,Blue,White),Double Side Effects. Waterproof Design , Shock Resistant Construction. Sensitive Vibration Sensor and Light-Detection Feature support Auto off to save battery power when the bike is parked or in Bright Environment(not in Dark). 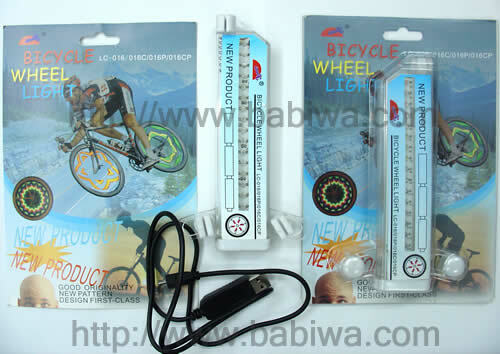 LED lights Support 3 x AAA battery (Rechargable Battery Also suppoted). 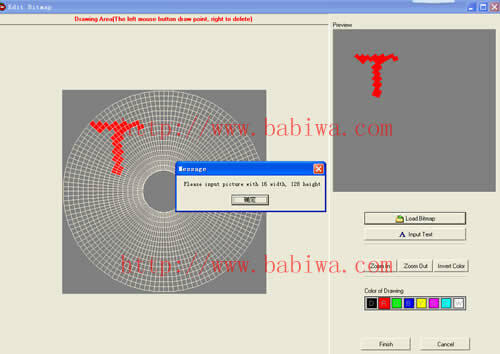 Easy to Install and Remove,Without tool or Technical Skill.Fit on almost all size of Bicycle Wheel.